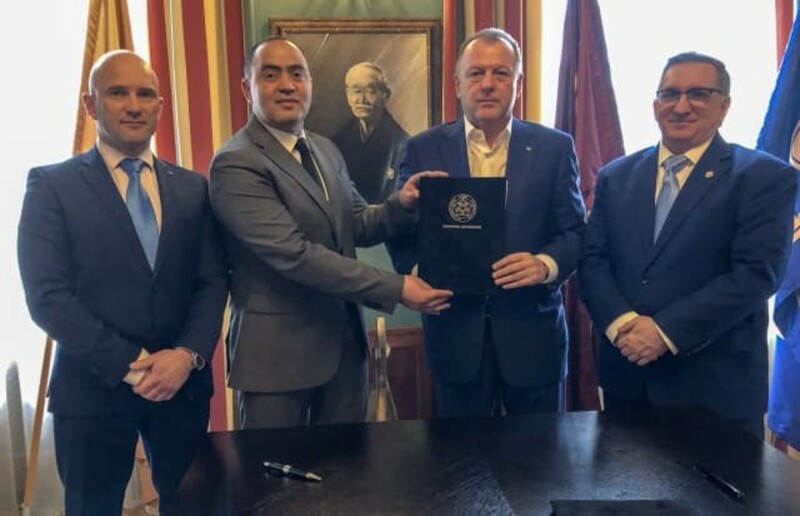 IJF President Mr. Marius L. VIZER (centre - right) was joined by Royal Moroccan Judo Federation President Chafik ELKETTANI (centre - left), Mr. Denis WEISSER, IJF Veteran Commission (left) and Andrei Bondor Head of IJF Veterans Comission . 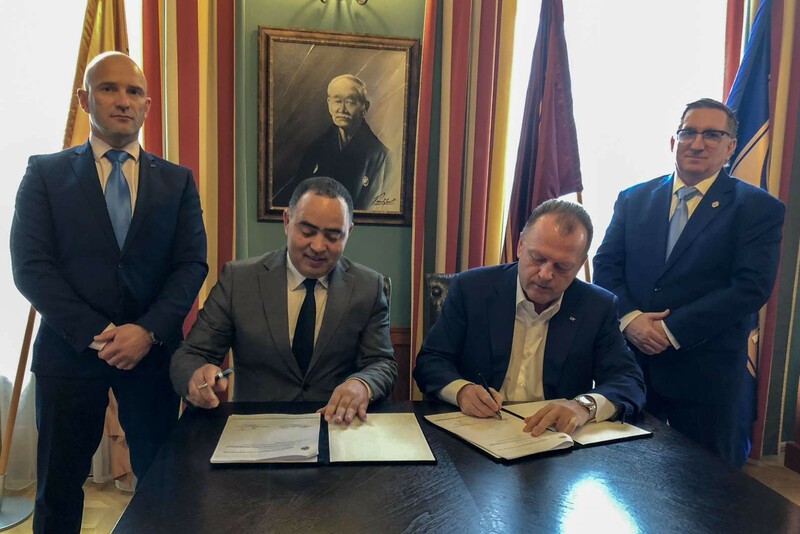 The news comes as another significant step for African judo and judo in Morocco, as the country has already been awarded the Junior World Championships which will take place from 16-20 October in Marrakech. This means that the African nation will stage a total of three IJF events this year which is a momentous achievement for the country. Stay tuned to the IJF website for more information on the Veteran Worlds including the release of the competition outlines.